At Superior Shower Doors, we are committed to providing homeowners throughout Atlanta and surrounding Georgia cities with quality residential shower glass work and installation services. In fact, we have been servicing the area since 1999, steadily building our experience and reputation in the area. Available options include swing or bypass doors, sliding doors, pivot doors, pivot doors with headers and steam-fit shower doors. 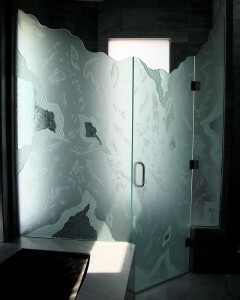 There are several types of glass to be used in shower doors. Options include clear glass, acid-etched glass, frosted glass, rain glass, storm glass, tinted glass, glacier glass, bubble glass, patterned glass, ultra-clear glass, bronze glass, gray glass, and other custom cut glass. We will help you make a decision on the best option.